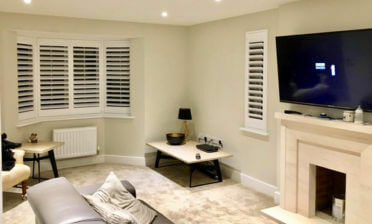 Jamie and Ben were recently at a home in the London borough of Bromley which is our local area. 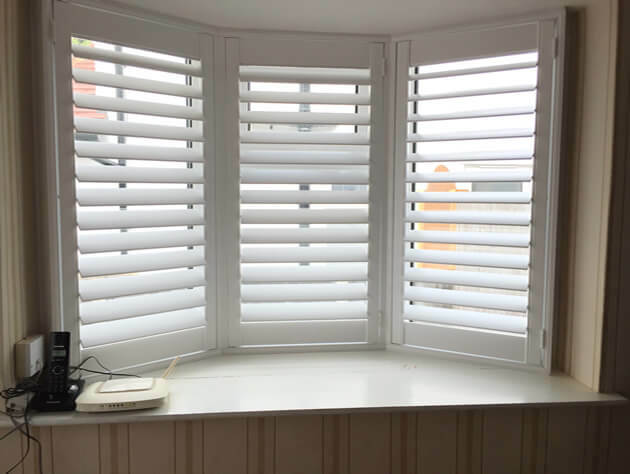 The home was being renovated by the current home owners who decided on using our shutters as the perfect window solution for their new rooms. 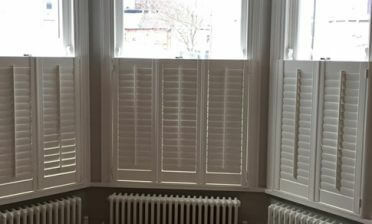 The shutters were to be tailored around the new look of the rooms and help modernise the home. 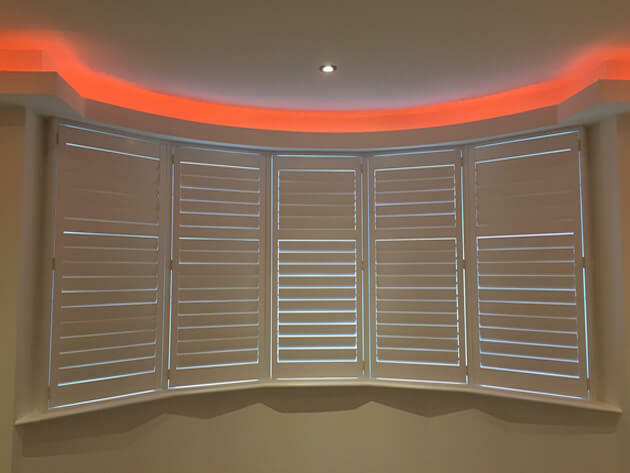 You can see below how well the shutters look with their unique lighting system. 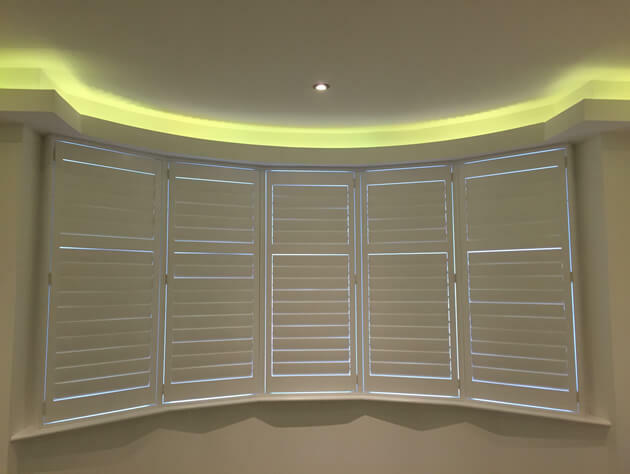 Our shutters are the perfect way to show off the new rooms by having complete control of the light levels throughout, as well as having the option of privacy and complete blackout when needed. 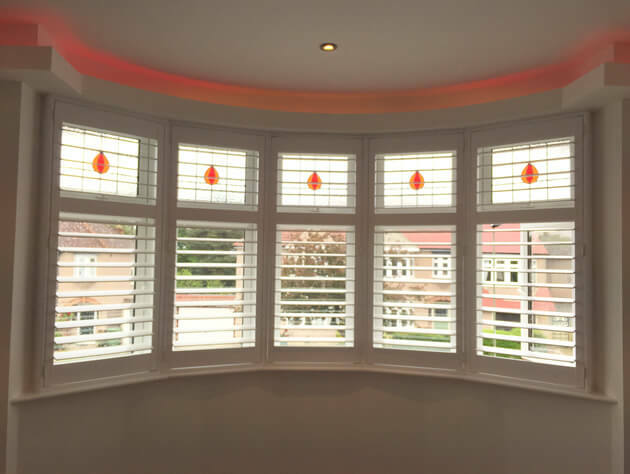 The shutters were created in a full height style with the majority featuring a mid-rail to allow for individual adjustment of the top and bottom sections. 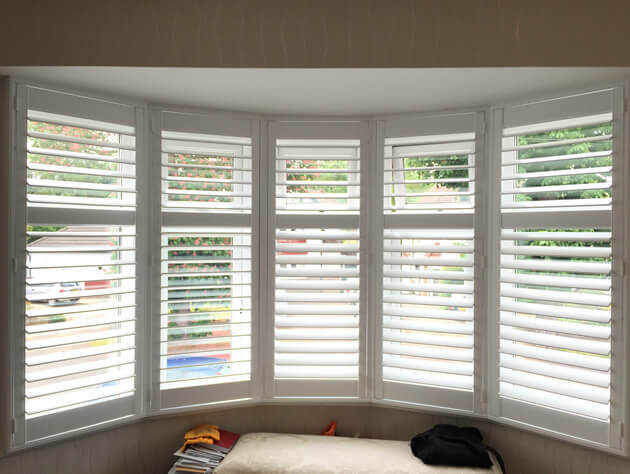 All shutters were created from our Cuba Range and have a hidden tilt rod system so they can be adjusted without the need for any visible tilt rods. This allows for a far cleaner look throughout while still allowing for easy adjustment of each shutter panel. They were finished in Pure White paint with matching white hinges.